For intermediate and advanced players. Based on the most common and important pawn structures such as center pawn formations, isolated pawn, hanging pawns (and more), strategical methods will be presented for both camps, and will increase your understanding of those positions dramatically. When studying each theme step by step, you can master all the strategical methods and improve your play. Various visual hints are provided if you play the wrong move when doing an exercise. The program includes 73 theoretical examples and 473 practical exercises according to topics and difficulty. You get plenty of feedback and opportunity to track your progress. Critical knowledge to increase your understanding of chess. You can choose the number of positions in the tests, as well as the material covered. 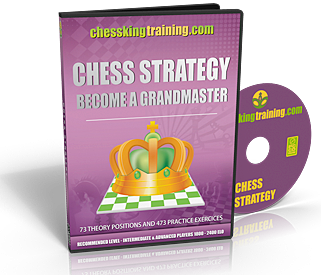 It is important to study chess strategy along with endgames, openings and tactics to become an accomplished chess player.